BOSTON - Jan. 30, 2019 - PRLog -- Presented by the Highland Street Foundation and produced by the Boch Center, ArtWeek announced today it will welcome back Music Drives Us Foundation (MDU) as a partner for the upcoming spring festival. Music Drives Us will significantly increase the number of grants it provides for ArtWeek events during its 2019 festival (April 26 – May 5). Forty recipients will be selected to receive a $250 performance grant to support the presentation of their event during ArtWeek, up from 10 total recipients in 2018. Events submitted before the February 22 deadline that meet the following criteria will automatically be considered for a Music Drives Us award: the event must be accepted by ArtWeek as an official event; it must be free; and it must be music and learning-based. Since ArtWeek will continue to celebrate statewide, events from across the Commonwealth will be eligible. Grant recipients will be selected by Music Drives Us and notified in late March. "As ArtWeek continues its statewide expansion, we are grateful for the continued support of Music Drives Us and for the commitment the foundation has made to supporting art and cultural experiences," said Joe Spaulding, President & CEO of the Boch Center. "One of the things I am most proud of is the accessibility of ArtWeek— last year 90% of all events were free or under $25. By offering grants to free, learning-based events, Music Drives Us is helping us fulfill our mission to make art and culture available to everyone throughout the entire state of Massachusetts." "For the third year in a row, Music Drives Us will support ArtWeek along with the team at the Boch Center. Supporting cultural initiatives that emphasize arts in society is the heart of our mission at Music Drives Us. That is why we have doubled our investment in ArtWeek this year to offer 40 grants to participating artists and musicians. The cultural experiences offered during ArtWeek across the state of Massachusetts are extraordinarily important in keeping the arts alive and viable for all sectors of humanity," added Ernie Boch Jr, founder of Music Drives Us. ArtWeek is an award-winning, innovative festival that features hundreds of unique and creative experiences that are hands-on, interactive, or offer behind-the-scenes access to arts, culture, and the creative process. ArtWeek is a way in which so many forms of creativity can be showcased in a truly affordable and accessible way for everyone who lives, works, plays and visits Massachusetts. In 2018, 90% of all the 525+ events were either free or under $25 for admittance. ArtWeek events span the Commonwealth's six regions: Greater Boston, North of Boston, South of Boston, Cape & Islands, Central Massachusetts and Western Massachusetts. After opening up applications to all of Massachusetts for the first time last year, a remarkable 130 cities, town and neighborhoods participated. 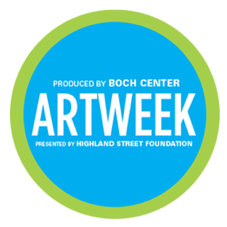 The final deadline to submit an ArtWeek event is Friday, February 22. Applications can be found at artweekma.org ( http://www.artweekma.org ). Statewide champions include the Massachusetts Office of Travel & Tourism and the Mass Cultural Council, who also serves as ArtWeek's Creative Communities sponsor. Additional support comes from the Greater Boston Convention & Visitors Bureau and the Foundation for MetroWest. Lead Media partners include WCVB Channel 5, Entercom, AdSpace, Improper Bostonian, Boston Metro, Boston Central, Boston Globe, Bay State Banner, Cape Cod Community Media Center and the Massachusetts Convention Center Authority, as well as many others. ArtWeek's expansion has also been powered by an extensive network of more than 115 creative collaborators at the statewide, regional and community level. To learn more about the festival and its growth, visit www.artweekma.org. Since its establishment in 1989, Highland Street Foundation has donated more than $180 million to many worthy non-profit organizations. It is committed to addressing the needs and concerns of children and families primarily in Massachusetts and California specifically in the areas of education, housing, mentoring, health care, environment and the arts. To learn more about Highland Street Foundation, please visit www.highlandstreet.org . The Boch Center is one of the nation's leading nonprofit performing arts institutions and a guardian of the historic Wang and Shubert Theatres. As New England's largest cultural venue, the Boch Center is home to theater, classical and popular music, dance, comedy, opera, Broadway musicals, family entertainment, and more. Located in Boston's historic Theater District, the Boch Center also offers a diverse mix of educational and community outreach initiatives, including the City Spotlights Leadership Program and ArtWeek; collaborates with artists and local nonprofit arts organizations; preserves historic venues; and acts as a champion for Greater Boston's arts and cultural community. Learn more at bochcenter.org (https://www.bochcenter.org).